but I keep on playin´ my song. When will you play your song? 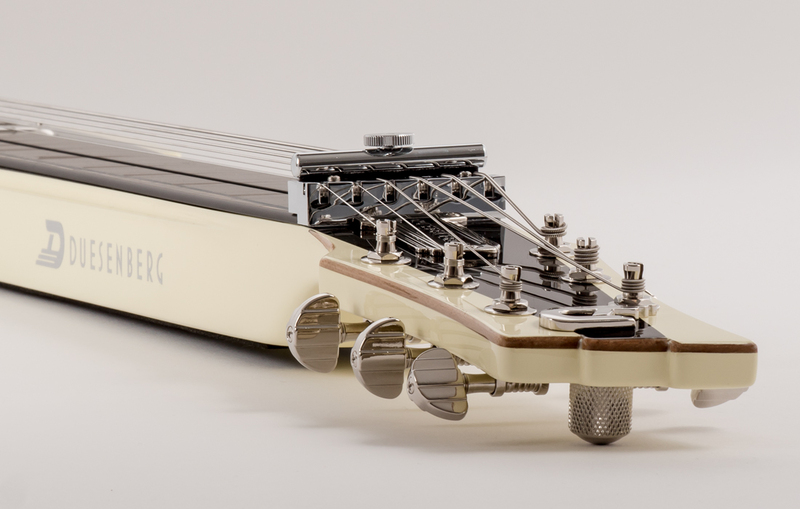 The Alamo is a solid Korina body dual singlecoil pickup Lapsteel Guitar featuring an integrated capodaster and our brilliant Multibender bridge system. 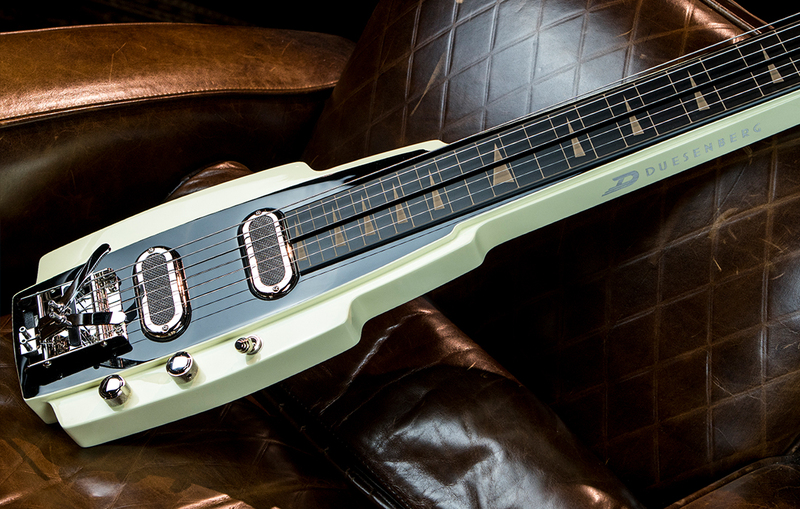 Being the third lapsteel in the Duesenberg catalog, the Alamo seems to be the Wild One! 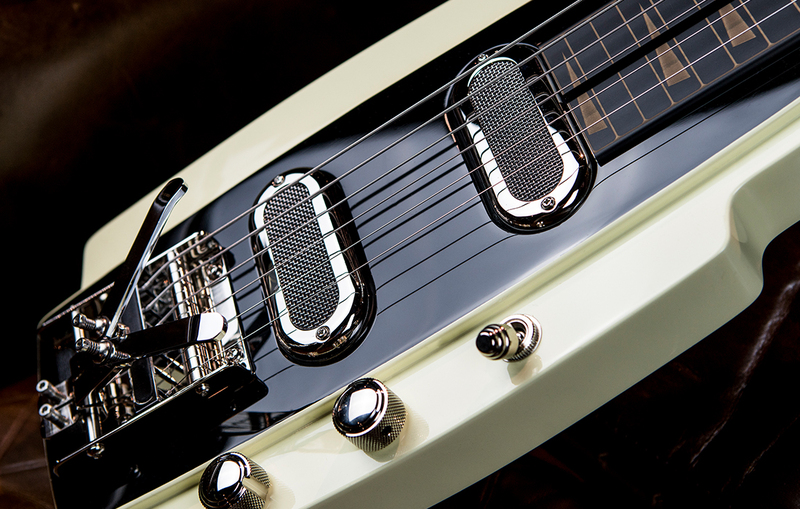 It sports not only the reknowned Duesenberg Multibender, which gives you pedalsteel like bendings, but also the integrated Easy Shift capodaster and a very dynamic duo of Duesenberg Vintage Trouble singlecoil pickups. The freely configurable Multibender is operated with the heel of the picking hand. Up to six levers (one per string) are mountable, which allow you to either raise or lower the notes on the individual strings to a preset setting. Furthermore the integrated Easy Shift capo enables freedom of movement between all keys without sacrificing the typical lapsteel riffs and licks that rely on open strings. A roller nut provides tuning stability and the Duesenberg Vintage Trouble singlecoil pickups deliver great tone with a rough and wild timbre, combined with a fast attack and rich overtones that only singlecoil pickups can deliver. 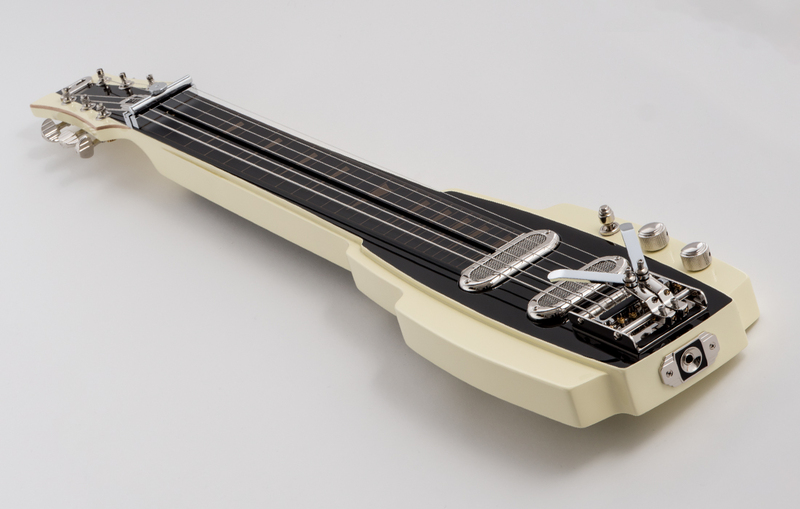 The Duesenberg Speed pot controls work with a path of just 70˚ in order to achieve the lapsteel’s typical swelling “wah” effects. The Alamo is available in a cool Ivory finish. Pickup (neck): Duesenberg VintageTrouble Neck "Phonico"
Pickup (bridge): Duesenberg VintageTrouble Bridge "Phonico"